Abstract: Cosmetic Tattooists may discover that their client is using a lash or brow growth enhancing serum, this article discusses the potential problems associated with tattooing for those clients. Cosmetic Tattooists who provide eyeliner and or eyebrow services will have noticed that over the past few years a percentage of their clients may have disclosed that they are using lash or brow hair growth promoters (growth serums) either prescription medication or over the counter products, the question is are there implications for providing tattooing services to those clients? This article is not intended to advocate the use of, or discuss the pros and cons of the various hair growth products but rather to shed some light on the potential complications of providing cosmetic tattoo services to a client that is using lash or brow growth promoters and what precautions might be required. The Cosmetic Europe Personal Care Association estimated the European cosmetics market in 2014 to be worth around 72.5 billion Euros1 the USA market came in a close second at 49 billion Euros and the total global market at around 198 billion Euros, the cosmetics industry is BIG business with consumers hungry for new products that will enhance their appearance. In 2005 Allergan estimated that Eye makeup, (eye shadow, eye liner, and mascara) represented 15% of global cosmetics and toiletries market and was the fastest growing category of colour cosmetics for the USA being over 6% in 20052. With so much money actively looking for eye enhancement products it is hardly surprising that the cosmetic and pharmaceutical companies would turn their attention to hair growth enhancers for the lash and brows, after all women in particular have been avid consumers of products and services that will conceal their hypotrichosis. Compared to scalp hair eyelashes have an extremely short growth cycle typically the Anagen growth phase lasts about 1-2 months3 the Catagen degenerative phase lasts about 25 days3 and Telogen the resting phase lasts between 4-9 months4,5. In comparison the complete growth cycle for scalp hair can last several years with Anagen alone lasting as long as 6-7 years4,5, also compared to scalp hairs (5-15%) a higher percentage of eyelash follicles (~50%) are in the Telogen resting phase at any given time3,4. Old dormant hair shafts are expelled (Exogen) as the Telogen phase of the cycle transitions to Anagen6. It is the short growth cycle of eyelash hair and the fact that they only tend to grow in length at about 0.15 mm/day5 (about half the length of scalp hairs) which imposes hard limits upon the length and density of the lash hairs. Fortunately the hair growth cycle in humans is asynchronous therefore at any given time our hair follicles are in varying stages of the growth cycle3, or else we may have an all or nothing situation with rotation of our hair growth cycle! 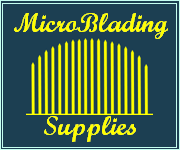 TM: Many if not all of these product names may be subject to trademark ownership by the respective companies. There is an incredible variety of ingredients disclosed in the product literature of the hair growth serums, some of the ingredients would best be described as conditioning treatments (cocktails of vitamins and oils), some may fall into the area of wishful thinking (plant stem cells and sterols), others may have more scientific support due to their capacity to influence intracellular signalling (e.g. prostaglandin analogues). Prostaglandins are found in a wide variety of bodily tissues, most of our cells with a nucleus are capable of making prostaglandins via the use of enzymatic action on lipids, prostaglandins are probably best described as 'active lipid compounds' which bind with prostaglandin cell receptors and activate intracellular signalling (trigger changes in cell behaviour), in this regard they are very similar to a hormone playing an important role in initiating changes in cellular functioning such as increasing permeability of cells walls, affecting vasodilation/vasoconstriction of blood vessels in their immediate vicinity. Prostaglandin Analogues are synthetically produced prostaglandins that mimic the effects of naturally occurring prostaglandins and some are used for medical purposes, for example Bimatoprost / Latanoprost may be prescribed by an ophthalmologist to a patient with glaucoma to assist with reducing intraocular pressure7,8. It is due to the past medical use of some of the prostaglandin analogues in eye drops that it was discovered there were some unusual side effects such as hypertrichosis (overgrowth of hairs) of both the lashes and the vellus hairs of the face3,9. 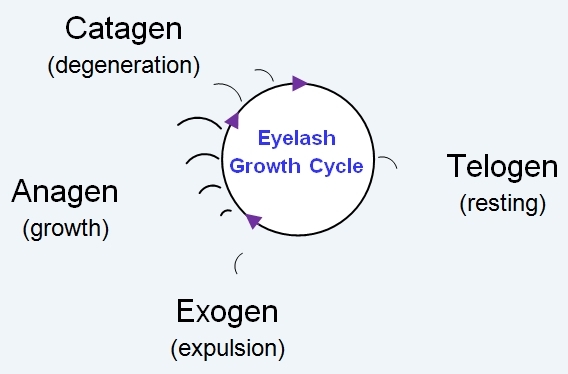 The exact mechanism that some of the prostaglandin analogues have in affecting lash/brow hair growth is unknown, however it is suggested that they may increase the percentage of follicles in the Anagen growth phase by prolonging Anagen and stimulating the transfer from Telogen to Anagen3. It is well established that length of hair is directly proportional to the duration of Anagen10, by increasing the duration of Anagen and stimulating more follicles from Telogen to Anagen it is possible to affect both the length and density of hairs. The Medical Products Agency (MPA) is the Swedish national authority responsible for regulation and surveillance of the development manufacturing and marketing of drugs and other medicinal products available on the Swedish market, the MPA is a similar agency to the USA Food and Drug Administration or the Australian Therapeutic Goods Administration. In 2013 the MPA published results of their testing of 26 different eyelash serums that were commercially available at that time. The published results of their laboratory testing found that 9 (34.6%) of the products tested contained prostaglandins and notably 3 of the products that they tested were found to contain prostaglandins that were not declared on their list of ingredients11, the MPA concluded their report by warning about the risk of 'spiked serum' and advising against their use for cosmetic purposes due to the risk of side effects. Due to regional regulatory restrictions the ingredients within lash growth enhancers may differ depending on the country in which they are released, and companies may also change formulations from time to time. With an increasing number of people shopping on the internet we feel that it is difficult to have certainty, when a cosmetic tattoo client informs that they are using a lash growth enhancer, if it contains prostaglandins or not. Some of the prostaglandin analogues such as Bimatoprost and Latanoprost are known to be capable of inducing melanogenesis9 and atypical melanocytes14 resulting in hyperpigmentation of the skin around the treatment area, this has potential implications relating to unexpected colour change subsequent to tattooing and or triggering melanin hyper-pigmentary halos around the site of tattooing. We have seen some claims by some Cosmetic Tattoo technicians and trainers that Bimatoprost can cause changes in the actual colour of tattoo pigments, we suspect that this is probably a misunderstanding in regards to increased melanin production rather than an actual tattoo pigment colour change. Tattooing skin that has hyperactive melanocytes may be inclined to trigger post inflammatory hyper-pigmentation affecting the final healed result of tattooing which could be misinterpreted as a change in the colour of the tattoo pigment. 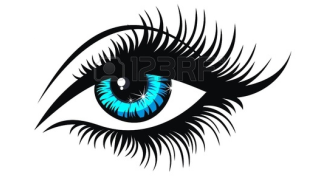 There have also been some concerns by technicians about the potential for prostaglandin analogues to cause excessive bleeding during tattoo treatments; prostaglandin analogues are known to cause conjunctival hyperemia in some patients12 and there are some animal studies that showed that Bimatoprost ophthalmic solution (or possibly its preservative) can cause ocular vasodilation15 therefore it seems at least plausible that lash growth serums containing prostaglandin analogues might be capable of causing vasodilation of blood vessels and result excessive bleeding during an eyeliner or eyebrow procedure. Given results of testing conducted by the MPA it may be prudent to assume that any client using a lash or brow growth serum (prescription or not) might be using a product potentially containing a prostaglandin analogue. In addition there is such a wide variety of formulations in the growth enhancing serums that it is advisable not to provide cosmetic tattoo services to clients using these products as the outcome from tattooing may be completely unpredictable. In order to minimise the risk of complications we suggest that clients cease using growth enhancing serums for at least 4-6 weeks prior to tattooing and do not recommence reuse of growth serums until at least 4 weeks after the last date of any cosmetic tattooing (near the growth serum treatment area). NB. patients who are prescribed prostaglandin analogues for medical reasons should not be encouraged cease use of their medicines unless advised to do so by their treating doctors as it may have serious consequences (particularly with conditions such as glaucoma).